White Plains is bordered to the north by the town of North Castle, to the north and east by the town/village of Harrison, to the south by the town/village of Scarsdale, and to the west by the town of Greenburgh. The city is about 7 miles (11 km) east of the Hudson River and 7 miles (11 km) northwest of the Long Island Sound. 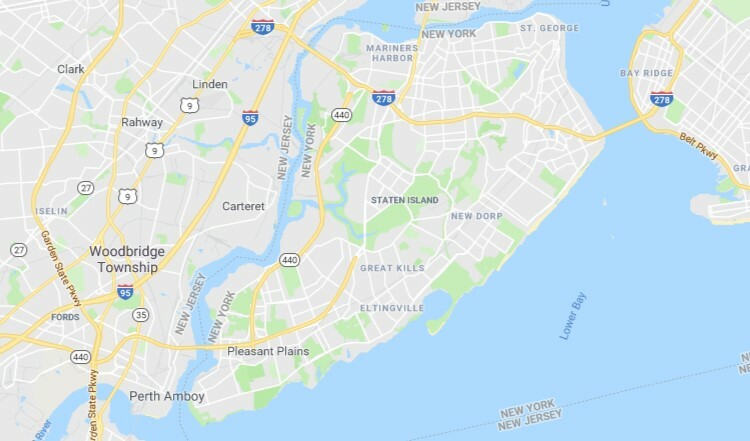 According to the U.S. Census Bureau, White Plains has a land area of 9.77 square miles (25.3 km²), and a population density of 5,820.3 inhabitants per square mile (2,247.2/km²). As of the 2010 United States Census, there were 56,853 people residing in the city. The racial makeup of the city was 48.9% White, 13.2% Black, 0.1% Native American, 6.3% Asian, less then 0.1% Pacific Islander, 0.3% from some other race and 1.5% from two or more races. 29.6% were Hispanic or Latino of any race.